Gone are the days that students can rely on their college career centers to prepare them for the real world — now it’s on them. Students have to be accountable for their careers and seek out events, alumni and opportunities on their own. In a new study by my company and Internmatch.com, we found that almost half of students aren’t using their career centers, and 64 percent are turning to online resources instead. The average ratio of students to career service professionals is 1,889 to 1, and we found that almost a third of students in our study say that centers don’t have enough staff to support demand. 1. Be proactive and attend as many career-oriented college events as possible. If your school is bringing in a guest speaker, or hosting a roundtable with alumni, you should attend. The worst outcome from going to an event like that is learning more about their industry, and the best is making a new connection that could lead to employment. 2. Get your career service center to introduce you to alumni in your field. The most important asset that career centers have, that they don’t use nearly enough, is their alumni database. Instead of just going into a meeting with your career counselor about your resume and cover letter, ask for introductions to alumni that are employed at companies that you’re interested in. That connection is way more important than the format your resume is in! 3. Use free or paid online platforms to educate yourself and stay ahead of the curve. Don’t rely on your career center as the single place where you learn job skills. Instead, turn to online resources like Udemy, Coursera, Khan Academy, SkillShare and Udacity. Based on your profession and industry, you can learn vital skills that will translate into new opportunities. 4. Do as many internships and freelance gigs as you can until you find the right career path. Students are almost always clueless about which career path to pursue even after selecting a college major. To figure things out, you have to have as many experiences as possible so you understand the types of roles you like and don’t like. By doing this, you realize the profession you want to be in, the size company you want to work for and the corporate culture you do best in. 5. Disconnect from technology and meet people face-to-face to build your soft skills. In a past survey, we found that 40 percent of students feel like technology has hurt their soft skills, such as the ability to interact and build relationships face to face. Make sure you are disconnecting every day so that you can meet people and form stronger connections that can lead to jobs. 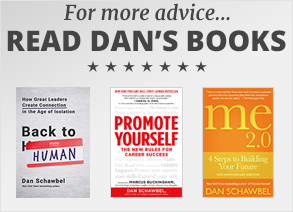 Are you looking for more big ideas, trends and career tips? Sign-up for my monthly newsletter. One interesting article for one to bring in opportunities and skills required for a good job landing. Thanks!